The following is a guest blog post by Marilyn Mann, a securities lawyer who became interested in medical research while researching treatment options for her teenage daughter, who has heterozygous familial hypercholesterolemia, a genetic disease that causes very high LDL-cholesterol. She blogs at http://marilynmann.wordpress.com/. 1. The calcium scan exposed Gupta to significant radiation, increasing his risk of developing cancer. 2. A trim, healthy man in his early 40s, Gupta is almost certainly at low risk of a heart attack as estimated by his Framingham Risk Score (i.e., less than 10 percent risk of a heart attack in the next 10 years), and the leading cardiology societies do not recommend calcium scans in low risk patients such as Gupta. 3. The use of high tech tests such as calcium scans, and the carotid ultrasound and advanced lipid testing Dr. Gupta also undergoes on the program, is one of the primary reasons our health care expenditures are spiraling out of control. 4. Calcium scans, when they are positive for calcium in the coronary arteries, often lead to referrals for expensive and potentially risky additional tests. 5. Calcium scans often find “incidentalomas” (i.e., suspicious masses on other organs), often leading to additional tests such as biopsies, even though the vast majority of such masses are harmless. 6. Calcium scans and carotid ultrasounds have only been shown to provide a small amount of incremental risk prediction over screening using traditional risk factors such as age, gender, blood pressure and LDL and HDL cholesterol. 7. Even if a person is found to have atherosclerosis through a calcium scan or carotid ultrasound, the main recommendation would be for the person to start taking a statin or take a higher dose of a statin, if already on one. Statins do not make a person heart attack proof – they only lower risk 25 to 30 percent. 8. The fact that calcium scans are not a magic answer is, oddly enough, demonstrated on the program by the fact that both Bill Clinton and Tom Bare, a heart patient interviewed on the program, had calcium scans several years before their bypass surgeries. I fear that many middle-aged people – after witnessing Gupta undergoing these tests – will feel the need to request the same tests. But here’s a thought not mentioned by Gupta or Dr. Arthur Agatston, who administered the screening tests to Gupta: screening with calcium scans and carotid ultrasounds has never been shown to improve health outcomes over traditional risk factor screening alone. If the main result of high tech scans is to put more people on statins, but statins do not make people “heart attack proof,” is there something else that will? The answer presented on the program is strict low fat plant-based diets, as advocated by Dean Ornish and Caldwell Esselstyn, and recently adopted by former president Bill Clinton, who is extensively interviewed on the program. Both Esselstyn and Ornish claim their programs can lead to regression of atherosclerosis, but the evidence for this is thin: a small trial of the Ornish program was published in The Lancet in 1990. The trial involved 28 patients on the Ornish program and 20 controls, and showed some regression of atherosclerosis in the Ornish program group. Esselstyn has published a study of 22 heart patients showing that those who stuck with his diet and also took statins to lower their total cholesterol to 150 or below did well over several years. Both the Ornish program and Esselstyn’s program involve intensive counseling and could never be implemented on a wide scale. Don’t get me wrong, I think plant-based diets are great, and I’m glad Bill Clinton is eating beans, whole grains, vegetables and fruit instead of hamburgers and fries, but I don’t think we’ll see the last heart attack anytime soon. You can watch the video of The Last Heart Attack on the CNN website or read the transcript. Gupta’s “secret” is basically intense screening with calcium scans, carotid ultrasound, and blood tests for LDL particle size. People at high risk should then follow a radical low-fat diet. Gupta never mentions the lack of a solid evidence base for this program, and never mentions the cost or other risks of screening programs. Calcium scans get a rave review, but there’s no mention of radiation exposure. Despite his entire year of research on the topic, Gupta somehow missed the wide divergence of opinion about the utility of these screening tests and widespread concerns about the practical barriers to implementing a radical low-fat diet. He never mentions that by most current guidelines a significant proportion of the population should not receive these screening tests. Gupta almost never asks hard questions of his sources. The complaint that Ornish and Esselstyn’s studies were small betrays a profound misunderstanding of how epidemiology works. When you already have extensive evidence from other kinds of studies, you might not even need a clinical trial to confirm the results. We know from cross-sectional studies (the Seven Countries Study and the China-Cornell-Oxford Project and the Framingham study) that diet is linked to cholesterol levels which in turn is linked very strongly to the risk of death from coronary artery disease, along with the risk of many other deadly and disabling chronic diseases, such as breast and prostate cancer. We also know that a dramatic change in diet for a given population, such as occurred in Denmark during World War I and Norway during World War II, resulted in dramatic declines in heart disease mortality, which went back up again after people resumed eating their traditional fatty diet. Ornish and Esselstyn’s work simply serves to clear up all doubt that the relationship is causal and that the benefits can be experienced by people who make dietary changes voluntarily, not in the context of a general famine. The solution to the problems you point to is remarkably easy. No one need get the screening tests since everyone can simply adopt the low fat vegan diet, regardless of whether they know if they already have signs of heart disease. Why not? The worst thing that will happen is that some people who would not have developed heart disease, will make themselves immeasurably healthier in other ways. As Bill Clinton, a man well known for his love of food, made clear, once you are used to it, eating a plant-based healthy diet is delicious and thoroughly satisfying. If we keep saying that no one will do it, talking about unidentified and non-existent “practical barriers,” and pretending it requires “intensive counseling” then, yeah, no one will do it. But plenty of people have already adopted this sort of diet (myself included) and are enjoying it and thriving on it. It seems to me food and health writers should be encouraging such a diet, not telling people they could never pull it off. I tried to make clear that I am not against people adopting the Esselstyn or Ornish diets or any other low fat vegan diet, and certainly people are free to do so. However, the fact is that a very small percentage of the population has made that switch, even though Ornish and Esselstyn and others have been campaigning for it for many years. Therefore, even assuming that by adopting such a diet one could become heart attack proof, the very small percentage of people who will adopt the diet means that it won’t mean the end of heart attacks. Even in Esselstyn’s study, he started with 22 people and at 5.5 years of followup, 11 of them had dropped out, and those were his own patients. I do think, however, that Ornish and Esselstyn are very far from having shown that their diets will end heart attacks. In the case of Ornish, correct me if I’m wrong, but I don’t think he even makes that claim. I believe he only claims that his program, which includes exercise and stress reduction in addition to dietary changes, will reduce risk, not eradicate it. In addition, his study only measured atherosclerosis progression, not heart attacks. I thought it was odd that the program did not mention the Mediterranean diet, which has been shown to reduce the risk of heart attacks in a randomized controlled trial. de Lorgeril, et al. Effect of a mediterranean type of diet on the rate of cardiovascular complications in patients with coronary artery disease. Insights into the cardioprotective effect of certain nutriments. J Am Coll Cardiol. 1996;28(5):1103. I guess that wouldn’t have fit in with the overall theme of ending heart attacks, because no one to my knowledge asserts that the Mediterranean diet will end heart attacks, only reduce them. So far as I know there has not been a head to head study comparing a Mediterranean diet to a vegan diet, so I have no idea which one is more effective. I don’t think there is any intervention or combination of interventions that will end heart attacks in America, but there are a number of interventions that will lower the risk, including dietary changes, exercise, and medications when appropriate. That’s not an exciting message, though, so I guess it doesn’t play well on TV. @Laurie What is the evidence that serum cholesterol is linked to breast cancer? I have not heard that. I agree with you that there is very good evidence that serum cholesterol is causal in heart disease, but it doesn’t follow that every intervention that lowers cholesterol levels also lowers the risk of heart disease. Some don’t (e.g., hormone replacement therapy, torcetrapib). It also seems likely that there are dietary elements that lower risk but have no effect on cholesterol. I am not an expert in nutrition, but many scientists who study nutrition would disagree that some of Esselstyn’s forbidden foods are harmful. For example, in this meta-analysis milk had little effect on heart disease. There is some evidence that it is not the amount of fat but the kind of fat that matters — e.g., polyunsaturated oil may lower risk. Given that many scientists disagree with Ornish and Esselstyn, why didn’t Gupta interview some of them? That would have been much more educational and interesting. Ornish and Esselstyn don’t have to shoulder a large burden of proof at this stage. Experimental confirmation is only one of the criteria the Sir Austin Bradford Hill listed in his discussion of how to evaluate causality in epidemiology: http://www.ncbi.nlm.nih.gov/pmc/articles/PMC1898525/pdf/procrsmed00196-0010.pdf These are the standard criteria that are still used whenever it would be impossible, impractical, or unethical to do an adequately powered, double-blind, randomized controlled experiment. Journalists should know this but almost never do. I am swamped today, but feel compelled to leave even a short note about some of what you’ve written in your comments since they appear on my blog site. 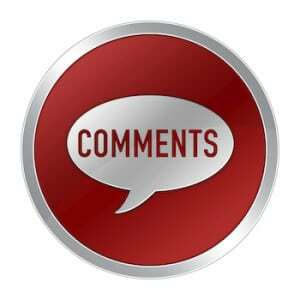 Although I moderate comments on this blog for product pitches, profanity, personal attacks and spamming, I cannot always find time to counter claims about evidence that commenters make. So I would not want any reader to think that I accept or endorse these statements left on my blog. I’m just too busy today to write the kind of critical analysis that these claims almost demand. 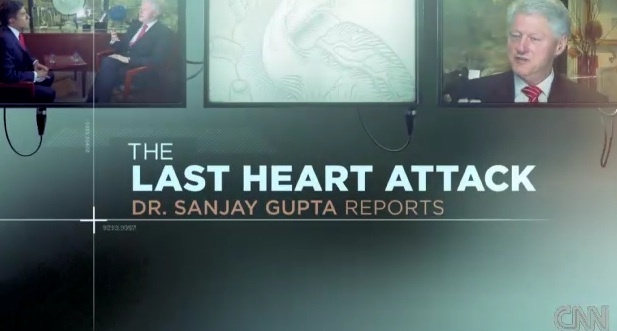 I did not see the “last heart attack” special because I stopped watching Sonjay Gupta a long time ago. For all I know he may be an excellent neurosurgeon but his health reporting consistently demonstrates his lack of knowledge of basic concepts of evidence- based medicine such as sensitivity, specificity, positive predictive value, number needed to screen/treat, relative vs absolute risk and risk reduction, and cost- benefit. Examples from the past include mammography recommendations from the USPSTF, HPV vaccine safety, cancer clusters, on and on. There is some value in all this if you are a teacher in that he provides many examples of mis interpreting the data and poor reporting. 1. The calcium scan exposed Gupta to significant radiation, increasing his risk of developing cancer. And nuclear stress tests do not? 2. A trim, healthy man in his early 40s, Gupta is almost certainly at low risk of a heart attack as estimated by his Framingham Risk Score (i.e., less than 10 percent risk of a heart attack in the next 10 years), and the leading cardiology societies do not recommend calcium scans in low-risk patients such as Gupta. Framingham is just one way to gauge risk. It is up the individual to decide if he/she wants to be screened. 3. The use of high-tech tests such as calcium scans, and the carotid ultrasound and advanced lipid testing Dr. Gupta also undergoes on the program, is one of the primary reasons our health care expenditures are spiraling out of control. It’s not cheap to stay healthy and alive! All can be paid directly from patient. if all well, can skip expensive cardiologist evaluation. 4. Calcium scans, when they are positive for calcium in the coronary arteries, often lead to referrals for expensive and potentially risky additional tests. And when they are normal, prevent the need for those same tests. Besides there are more normal scans than abnormal. 5. Calcium scans often find “incidentalomas” (i.e., suspicious masses on other organs), often leading to additional tests such as biopsies, even though the vast majority of such masses are harmless. All testing does the same. How many caths have been done due to women’s breast artifact messing with stress tests? 6. Calcium scans and carotid ultrasounds have only been shown to provide a small amount of incremental risk prediction over screening using traditional risk factors such as age, gender, blood pressure and LDL and HDL cholesterol. Calcium scans have prevented heart damage in my patients, before symptoms occurred. Is prevention not our job? 7. Even if a person is found to have atherosclerosis through a calcium scan or carotid ultrasound, the main recommendation would be for the person to start taking a statin or take a higher dose of a statin, if already on one. Statins do not make a person heart-attack-proof — they only lower risk 25 to 30 percent. The nnt for statins are poor for primary prevention. Statin use is way overprescribed but that is an entirely different topic. 8. The fact that calcium scans are not a magic answer is, oddly enough, demonstrated on the program by the fact that both Bill Clinton and Tom Bare, a heart patient interviewed on the program, had calcium scans several years before their bypass surgeries. Nothing is 100%, and it never will be. Clinton was on a statin starting years before his bypass. How did that work out? Thanks for commenting. I’m just going to address a couple of your points. In response to my point that the calcium scan exposed Gupta to radiation, you state that nuclear stress tests do the same. That is true, but I also do not advocate nuclear stress tests to screen asymptomatic people. The only circumstance where this is recommended is for commercial airline pilots and school bus drivers. With respect to the cost of the tests, you state that a calcium scan costs $200, carotid ultrasound $50, and advanced lipid testing $75. I do not know if those costs are representative, but even if they are, the costs become very high when multiplied by millions of people. For example, Texas mandates insurance coverage of up to $200 for calcium scans or carotid ultrasounds every 5 years for men aged 45-75 and women aged 55-75 who also have diabetes or Framingham risk score of intermediate or higher. Based on an analysis that was published in Archives of Internal Medicine, an estimated 2.4 million people in Texas would currently be eligible, with a 1-time cost of approximately $480 million. 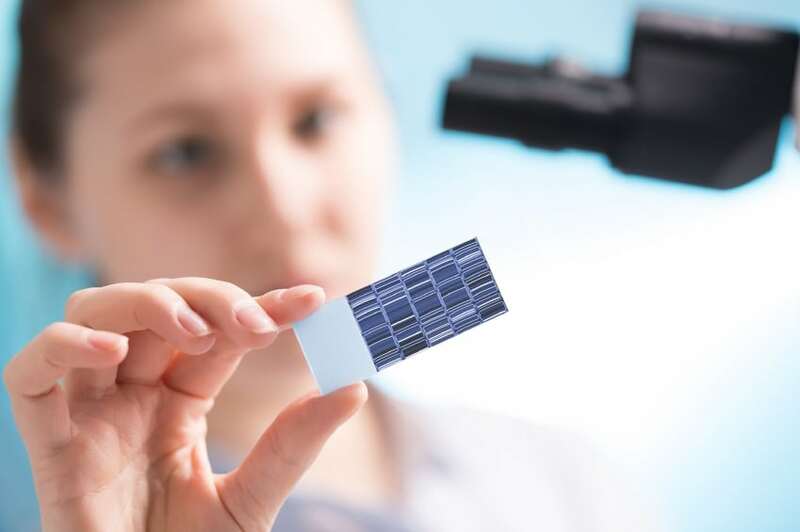 One-time screening with calcium scans of 2.4 million people would also result in 190 new cancers and approximately 190,000 incidental findings, many of which would lead to followup testing. Amit Khera, Texas Atherosclerosis Imaging Bill: Quiet Origins, Broad Implications. Archives of Internal Medicine 2011;171(4):281-283. You state that calcium scans have prevented heart damage in your patients. I think we need a randomized controlled trial to show that calcium scans improve outcomes compared to conventional screening for risk factors (blood pressure, lipid profile, family history). Moreover, even if screening with calcium scans were shown to improve outcomes, the benefits would need to be weighed against the harms and costs. Another example of there being an enormous amount of information on the Internet, and very little knowledge. Opinions once again at odds. Without a good filter it is so hard to discover the truth – very frustrating. I had the advanced lipid panel yesterday because I was already scheduled for a regular lipid panel and have already hit my maximum out of pocket on my insurance for the year – so it’s “free” for me. My doctor thinks the LDL particle size is of limited value – it’s the particle count that really matters but believes the calcium scan is a “no brainer” for folks to get considering the cost – $150. Interestingly, insurance companies seem to generally deny payment on the scan. I want to get one, but don’t want the radiation. If I get the scan we (my doc & I) are going to use the results (along with the lipid count) to determine if I go back on a statin. I will probably get the ultrasound as it will also be “free”. In response to an earlier post about Gupta being in his 40’s – So what, he was only demonstrating the process. The show featured other older folks as well as I remember. My former doctor called statins harmless. Not sure I agree with all the differing opinions on the subject but my general feeling is that foreign substances probably are not good for the body. Then again, my father was on a heart medicine for 35+ years and died at age 88. Flipping a coin seems to be the best option. I didn’t focus or even care that much about the scans. If found the segment very interesting and motivating and decided to switch to the diet myself. I have been given Esselstyn’s book after a bypass 2 years ago but put it down after I saw the restrictions. I thought there was no way I could follow. This segment showed that Esselstyn isn’t a quack and definitely leant some credibility to his claims. I did some additional research on my own and decided to give it a try. Esselstyn’s book, Prevent and Reverse Heart Disease is a little overwhelming to a layman like me so I also bought and read his son’s book, The Engine 2 Diet by Rip Esselstyn, because I thought it provided more practical application. I’m really glad I saw the segment and hope it will help dramatically. Although, I eat “healthy,” perhaps this will be even more helpful. I can’t see how it will hurt. Three years ago I had an aortic valve replacement and one bypass. Then I heard a lecture by a chiropractor who summed up her talk by saying “Eat fruits and Vegetables” (also some beans and whole grains). In three months my weight went from 187 to 157, my cholesterol from 250 to 150 and my blood pressure from hypertensive down to near normal. Since then I’ve read Esselstyn, McDougall and Fuhrman. Fuhrman is for me the best of the best. He’s a “nutritarian”. The idea is to get as much nutrition per calorie as practicable. It’s easy. When you get enough good nutrition, you are satisfied and don’t need so many calories. Sure, some habits have to change but saving your life or avoiding brutal open heart surgery should be motivation enough. If I had become a nutritarian before my surgery, I might not have this leather valve in my heart. And the disease care complex would not have made so much money on me. The problem is that we buy the marketing machine’s processed, toxic and nutrient-deprived foods. We are slaves to the palate. The answer is critical thinking about what we put in our mouths and taking action accordingly. Learn how to eat nutrient dense foods. Eating what you eat because your parents ate it, because society eats it or because you saw it on TV is a great recipe for a nation in health crisis. This post seems to take issue with scans. My takeaway from the report was that prevention and reversal starts and ends with diet. Scanning may have been deemed important to be included in the report because we live in a culture where the overwhelming majority of people are unhealthy and at risk. That shouldn’t detract from the underlining message of the report…that what we eat is in direct relation to our risk exposure to heart disease and other unnecessary ailments.